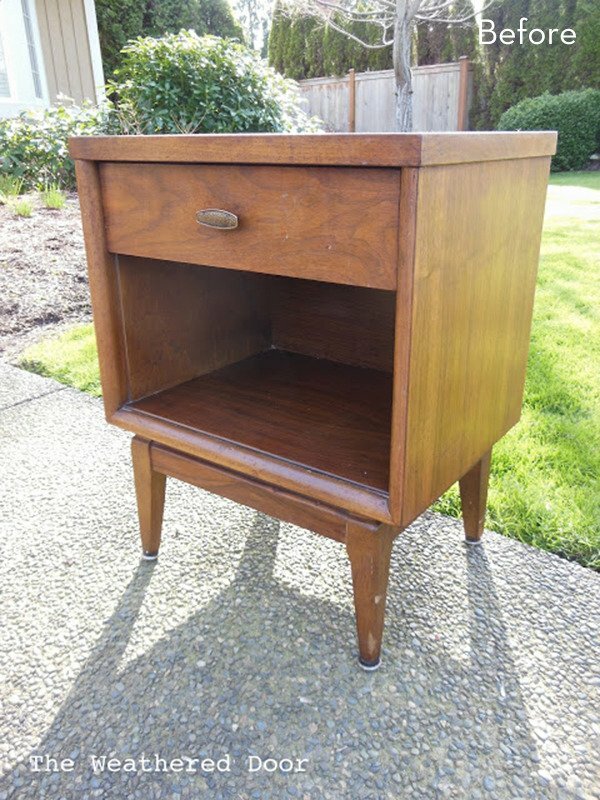 This nightstand was in pretty poor condition when Reeves took it home and, after realizing that wood stain wasn't enough to fix some of the blemishes, she opted to paint it. Check out the final result below and let us know what you think! This bedroom makeover not only looks better in the after version, it also looks bigger, with a few minimal adjustments. This DIY idea is such a fun and unique way to spruce up plain headboards -- and would look great in a girl's room or guestroom! When you're tight on space, sometimes the room you do have needs to pull double duty, like in the case of this office-turned-guestroom! With a little bit of re-arranging and a playful new accent wall, this kids' bedroom now puts the "fun" in functional! I'm super, super excited about our Makeover Tour today! It's kids and pets month here at Curbly, and to celebrate we're getting a behind the scenes look at this colorful, personality-filled bedroom any kid (or grown-up) would love. Check it out!